Mana’s foundation in 2011 inspired great hopes. It was part of a pattern of general worldwide resistance: this was the year of Occupy and the Arab revolutions. In Tunisia and Egypt decades-old dictatorships were overthrown by mass movements led by the organised working class. In Greece, an anti-capitalist alliance, Syriza, went from insignificance on the margins to hold the balance of power as the largest single party in a country of 11 million. We hoped that in Aotearoa too we would see a resurgence of the left, and greeted Hone Harawira’s break from the Maori Party with enthusiasm. Mana began as a left-wing split from the Maori Party, a party born from the hikoi against the Clark Labour Government’s raupatu of the Seabed and Foreshore – the hikoi was the biggest demonstration since the anti-Employment Contracts Act marches in 1991. But in coalition with National, the Maori Party betrayed its supporters by accepting the Coastal and Marine Area Act – the codification of Labour’s robbery. Hone Harawira and his supporters broke with the Maori Party and with the neoliberal policies of National Party. Recognising the war on workers wrought by 30 years of relentless attacks by both National and Labour-led governments, Harawira declared that the poor and working class of all ethnicities were natural allies of dispossessed Maori. The Maori Party, he said, represented corporate iwi leaders who had no interest in achieving tino rangatiratanga for poor and working class Maori – the government and corporate warrior’s approach to treaty claims had benefited a Maori elite while doing little for working class Maori. Mana broke with the establishment and with neoliberal free market policies. Hone Harawira called for the party to rebuild “a strong union base” for workers and restore the Mana of “beneficiaries who are treated like a blight on society”. As revolutionary socialists, we welcomed the emergence of a party to the left of Labour, committed to fighting racism and for a just distribution of wealth. >From its roots in the Maori Party, Mana Motuhake and the social movements of the 70s, 80s, and 90s, Mana carried a commitment to activism outside the narrow confines of parliament. We hoped this party would be the beginning of a break from Labour in the working class. In the context of 2011 we were right to dream, and to take a risk that a radical parliamentary party could be a catalyst for a movement in the workplaces and in the streets. Mana’s orientation to the streets and workplaces was always vital for us. Parliament is a dead end. Real power lies elsewhere – either in the boardrooms or in union meetings. Any reforms we win, no matter how small or temporary, are always based on popular power, on pressure from the sustained activism from workers and the streets. The tools of the oppressors – the state, the legislature, the police and parliament – can never liberate the oppressed. Mana combined a healthy disrespect for Parliament – Harawira was arrested for opposing evictions and castigated for supporting indigenous Australians while on an parliamentary junket – with an appreciation of the value of an MP’s seat. A seat in in parliament gives a party state funding of a parliamentary secretary, free air travel for an MP and privileged access to the media. A seat in parliament provides a national focus that can bring together activists who otherwise are isolated in their own towns and campaigns. Other than in election years, Harawira focused his energy outside Parliament and was criticised for not spending enough time in the House. He was also criticised for spending more than any other MP on travel – this is nothing to be ashamed of. It shows an MP who was more interested in representing his people than hanging out in the corridors of power. However, a seat in parliament always brings the danger of disorientation. In its short life, Mana demonstrated both the advantages and the pitfalls of parliament. Although an activist party can use parliament, parliament also uses it. The resources and the media access can drag our focus into the electoral circus. The first lesson of the Mana campaign is that we cannot will a party into being. The high hopes of those activists and organisations that founded Mana were not borne out. The class break within Maoridom did not happen, nor did Manaprovide a pole of attraction for the Pakeha and Pasifika working class. The mood of the working class in New Zealand in the last three years was, quite simply, not militant or desperate enough to catapult a radical parliamentary alternative to power. The existing lef , such as former members of the Alliance, were too weak or too reluctant to support what they saw as “Maori nationalism”. Aside from a small number of defensive struggles at the turn of 2011-2012, workers’ struggles actually declined further in 2012. And even though the Engineering Printing and Manufacturing Union, the biggest private sector union, recognised Mana’s policies were closest to the union’s own, it still endorsed Labour and the Greens rather than Mana. But willpower or ideas are not enough on their own to explain the failure of Mana. The political and economic context is vital. In the last 15 years, the working class in New Zealand has been suffering from a thousand cuts. Each cut bleeds away another part of our strength but no cut is savage or outrageous enough to provoke a massive fightback. Until the last couple of years, Australia acted as a safety valve, absorbing in its booming mining sector our skilled but unemployed workers. Why would workers stand up to National’s savagery and rebuild political and industrial unions and parties when emigration offered an easy solution? Especially when unions had been beaten in strike after strike since unemployment really kicked in in the late 80s? Workers’ confidence in our own power has fallen. The Labour Party is at best half-hearted; the trade unions are little better. Within Maoridom, the Maori Party represents a small elite that has been co-opted by the state and backs National and Labour’s neoliberal policies. Our hopes for Mana were linked to its commitment to self-organisation and suspicion of parliament, and to the hope that the 2008 Global Financial Crisis would spark resistance here. However, it quickly became clear that Mana was out of step with the mood of the wider working class – both Maori and Pakeha. The signs were there from the first, in the way that although Mana inherited activist networks from the Maori Party and the protest movement before that, it did not bring in many new, young activists. The failure of Mana to win votes in the general seats in the 2011 – especially in the working class strongholds of South Auckland – was another warning. Although Hone won his seat again, and many valuable lessons were learnt, the tide has been running out on Mana since it was launched. A year ago at the ISO conference in Tamaki Makaurau we decided – despite all these difficulties – to stick with Mana in this  election year. We anticipated a tough battle and a probable defeat. Hone Harawira had already indicated that unless another MP (Annette Sykes) was elected, he was unwilling to be a lone MP for another three years. The polls were not positive but we were proud of the work we had done, of what Mana represented and the good activists we worked alongside. Despite the difficulties, we decided to stay the course. As things turned out, our pessimistic predictions were proved right but only after the most theatrical contortions imaginable. Who could have predicted, even a month before it happened, that a German millionaire on the run from the FBI would try to do a deal with a far left, indigenous-led, parliamentary party? This was a disastrous manoeuvre for Mana. We argued against the deal within Mana and publicly. The ISO National Committee, after the alliance was announced, said a hard-out campaign in the Te Tai Tokerau and Waiariki electorates on a straight Mana ticket would have been better, but we acknowledged that the majority of the Mana Party was in favour of the alliance. This is not surprising. The hundreds of activists at the Mana Party national hui in Rotorua in March had put in three years of hard slog for little reward. The status quo – one MP – was not an option and the likelihood of winning Waiariki was not great. The Dotcom deal more than anything seemed to offer a shot in the arm not only to provide resources and win more votes but to re-energise the activist base of the party. Our position has always been that no saviour from on high can deliver – there is no magic bullet, no shortcut. This shortcut to keep the party alive assumes that Mana’s existence was everything. In reality, the political vehicle is not all-important.. It is the people that make up the party that are important. There will be other parties and other movements. It is never worthwhile to compromise the legacy of the movement to keep it alive. Dotcom was floated as the best chance for the survival of Mana, to convince the electorate that Mana was not just for Maori but for all people within New Zealand, but this attempt compromised the party. We were right. Although the alliance netted 10,000 extra general seat party votes, it did not make up for the votes lost in the Maori electorates. Waiariki’s return was especially devastating. Annette Sykes did well as a candidate, but Mana trailed behind New Zealand First! Hone Harawira and Gerard Hehir had done the numbers and figured Mana’s chances of survival were so poor, it was worth rolling the dice and seeing what Dotcom’s money could do. If the bet seemed like it was a no-brainer, it was because they were gambling away something intangible – the legacy of Mana. A glorious defeat will live long in our memory and inspire resistance in the future. A desperate compromise to stay alive leaves nothing behind. We expected a hard slog through a most likely defeat at the election. We had made a commitment to see our involvement through to the election and aimed to be steadfast to see through and support our comrades to make the most of the relationships we had built up over the past 3 years. There are activists now working to rebuild Mana, and we wish them well. They are our fellow comrades in struggle. But, as an organisation, we have decided to end our involvement in the Mana movement. We will work with Mana activists in struggle. At our recent National Conference we reflected on 3 years of working within Mana, its pros and cons. What is clear from our analysis is that you cannot will an organisation into existence. We have to be straight. Mana was a party that was built around an MP – Hone Harawira – to unify different disparate groups under one banner. 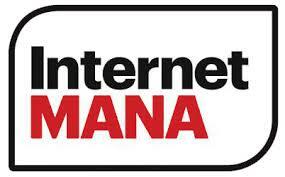 To Mana’s credit many answered the call; however, since its founding it has slowly lost momentum. It was a party that placed its faith in a revival of activism, in a movement on the streets, and that never happened. When confronted with defeat, the party followed its leaders into a disastrous alliance that compromised the legacy of the party. A loose network of activists may remain but without the focal point of an MP it will not be the same party that we helped found. Movements by definition come from below, where the rank and file activists must become leaders in their own right. For a party to build it is absolutely necessary to develop those structures outside parliament, to build community and workplace organisations in order to build upon the mass audience that Mana received through having an MP. The high hopes of those activists and organisations that founded Mana were not borne out. The class break within Maoridom did not happen, nor did Mana provide a pole of attraction for the Pakeha and Pasifika working class. The mood of the working class in New Zealand in the last three years was, quite simply, not militant or desperate enough to catapult a radical parliamentary alternative to power. It is for these reasons outlined above that the ISO is withdrawing from Mana. In stating that though, we will never leave the struggle. The struggle will continue and we will without a doubt be proud to work alongside rangatira like John Minto, Annette Sykes and Hone Harawira in future who given their time and energy to the cause. But the leaders are nothing without the hundreds of dedicated activists who have given countless hours to this project, and it those people we wish to encourage and engage with. Parliamentary politics requires those who participate in it to limit what they wish to achieve to be within the bounds of what is “politically possible”. We have always argued unequivocally that Mana’s goals of social equality and tino rangatiratanga can only be achieved by the revolutionary overthrow of capitalism as a global system. We feel it is better now to act in solidarity with Mana members but organise independently. Our stated goal is always the self-agency of the working class – for people to fight back in their communities, their workplaces and in the streets and to encourage them to organise. We will stand with Mana when they organise the self-activity of communities, of workers, of beneficiaries, of the poor and dispossessed and in support of Tino Rangatiratanga. The ISO will continue to support these struggles; we will be on the streets and we will see you out there!